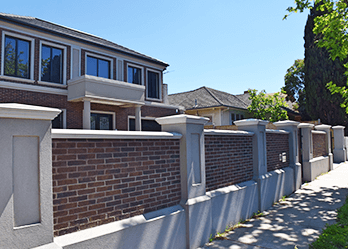 At Custom Brick Fences we are one of Melbourne’s most trusted manufacturers of quality fences and gates. For over 15 years we have been supplying Melbourne locals with custom-made services. Whether you’re in Mount Albert, Knox or Ringwood, our fences and gates can greatly enhance your home. A good quality fence or gate can add value to your home, while providing additional security. At Custom Brick Fences, we aim to produce fences and gates that are both functional and aesthetically pleasing, so that your home will have protection, while also looking great. Once you set foot in our store you’ll be impressed with our broad range of products. 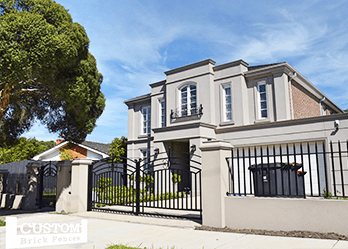 We pride ourselves on having one of the most diverse selections of fences and gates in Melbourne. From brick and steel fences to wrought iron gates and even electric swing gates, we’ve got the perfect gate or fence to suit your home. When it comes to experts in fences and gates, Ringwood customers can rely on Custom Brick Fences. Do you need garden security fencing or house fencing for your home in Ringwood? Steel Picket fencing would be the perfect fit. Additionally, we produce premium horizontal slat fencing and Colourbond fences suitable for any home. 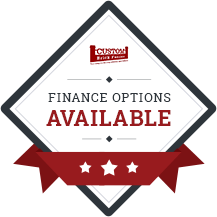 With no standard designs or sizes in stock, you’ll be able to select the most appropriate steel fencing to compliment your property. 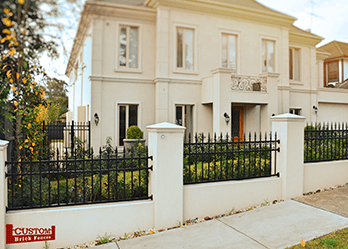 No matter what you’re looking for in fences and gates, Ringwood residents can contact us today on 1300 88 68 38 or 03 9874 5102 to speak to an experienced professional. In addition to Ringwood, we also provide services in Hawthorn, Armadale, Balwyn, Berwick, Blackburn, Brighton, Camberwell and surrounding suburbs.